Alberta’s Opposition leader recently said he plans to reduce Alberta’s corporate income tax from 12 per cent to 8 per cent. That would be welcomed news. In 2014, Alberta had both the lowest corporate income tax (CIT) and lowest top personal income tax (PIT) rate of any province or U.S. state. Until the Notley government raised the PIT on high earners—giving Alberta one of the highest combined marginal PIT rates in Canada and the U.S.—and the CIT from 10 per cent to 12 per cent, while the Trump administration cut the U.S. federal CIT by 14 percentage points, bumping Alberta into a nine-way tie for the 18th lowest CIT rate. In other words, the province’s tax competitiveness has taken a beating in recent years. Again, pro-growth tax reform would be a welcome relief. Cutting Alberta’s CIT to 8 per cent would substantially improve Alberta’s competitiveness, making the province more attractive to business and investment, spurring job growth and prosperity. Specifically, the cut would give Alberta the seventh lowest CIT among the 50 states and provinces. What’s more, several of the states with the lowest CIT rates levy damaging gross receipts taxes instead of CITs. 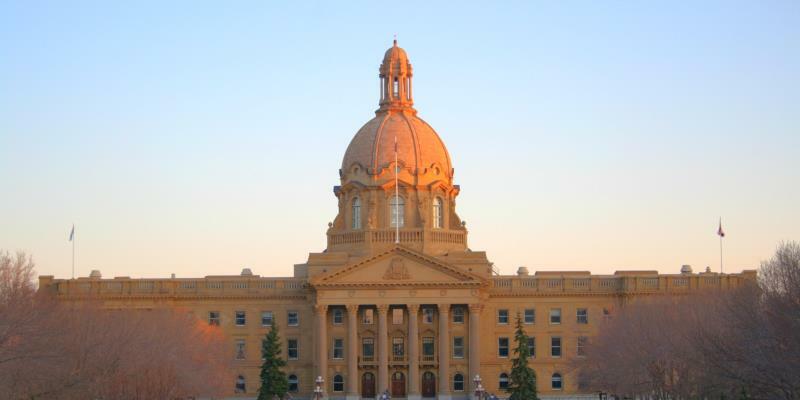 So with an 8 per cent provincial CIT, Alberta would once again have one of the most competitive statutory CIT rates in Canada and the United States. This would be an important positive development because corporate income taxes create negative incentives to invest in the province, negatively affect wage levels, and put upward pressure on consumer prices. While some assume corporate taxes only impact the wealthy, they are in fact an especially costly method of generating government revenue that impacts not only businesses but consumers and employees. Of course, given Alberta’s large budget deficit, Albertans may wonder whether now is the time for any sort of tax reduction. The answer, when it comes to the CIT, is a resounding yes. First, it’s important to understand that while the tax cut would substantially improve Alberta’s tax competitiveness, the hit to provincial revenues would be small. A four-percentage point reduction would reduce provincial revenue by approximately $1 billion—roughly two per cent of total expenditures. And this is making the extremely conservative assumption of no supply-side response—that there’s no extra investment or economic activity due to the tax reduction. In reality, the revenue hit would likely be smaller. In exchange for this small revenue loss, Alberta’s competitiveness would get a big boost. Alberta competes for investment dollars with jurisdictions all over the world, and must be mindful of other energy-producing jurisdictions. Several U.S. energy producing states such as Texas and Wyoming have no state-level corporate income taxes (though Texas has a gross receipts tax), while other states such as North Dakota have very low rates. If Alberta moved back an 8 per cent CIT, we would leapfrog Oklahoma, Colorado and North Dakota on CIT rates. Given that Alberta already struggles with investment uncertainty in the energy sector caused by regulatory delays, getting tax policy right is all the more important. Alberta’s tax competitiveness has waned and Albertans have suffered the consequences—less investment and less opportunity, especially compared to only a few years ago. Instead of waiting and hoping for higher oil prices, this government—or any government—could lower the corporate income tax rate and help spur growth without harming Alberta’s fiscal position. While some may wonder whether we can afford to reduce taxes, in reality, we can’t afford not to.